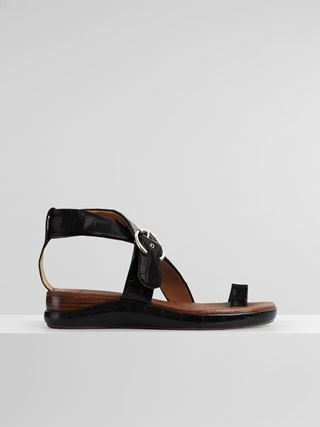 A modern interpretation of the Maison’s iconic scallop-edged Lauren design, this flat sandal is crafted from suede calfskin. Showcasing Spanish craftsmanship, the earthy leather, natural rope and ecru hand-stitching create an authentic espadrille feeling. 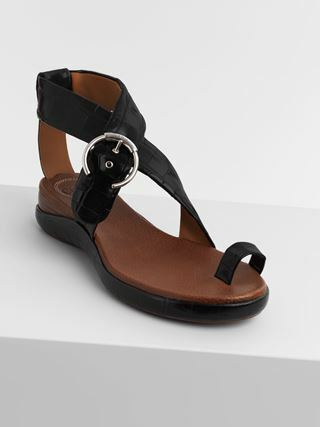 The front and ankle straps hold the foot firmly in place, while the adjustable buckle ensures the perfect fit for day-long comfort.